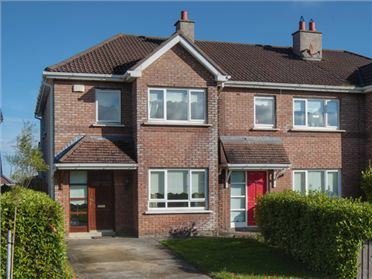 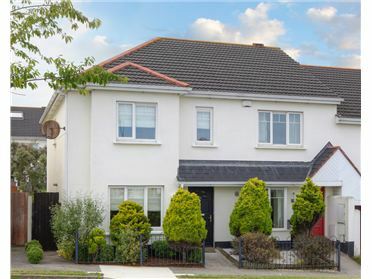 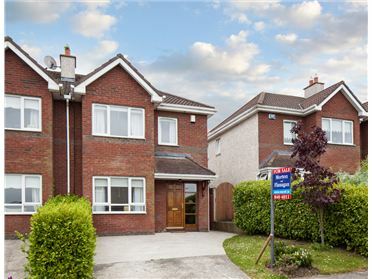 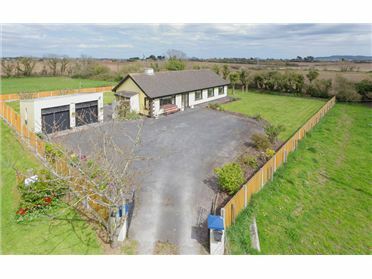 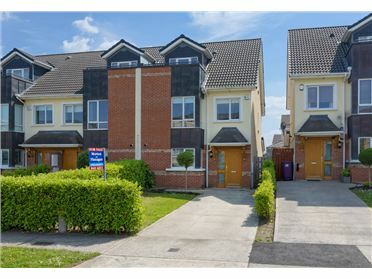 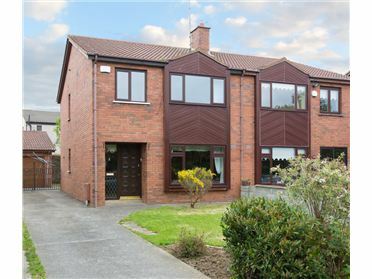 4 Bed Semi-Detached House - 126 m² / 1356 ft² Large extended four bedroom home situated in an established sought after residential area within walking distance of Swords Main Street, the Pavilions Shopping Centre and all amenities. 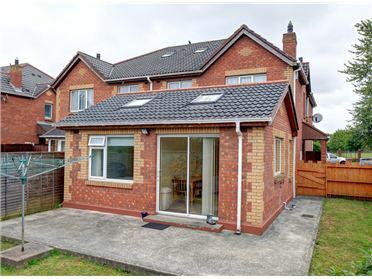 The accommodation extends to c. 126 sq.m. 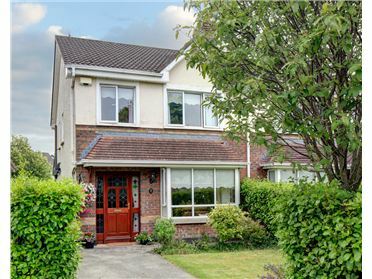 (c. 1,356 sq.ft.) 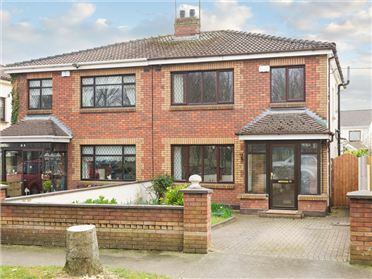 and comprises entrance hall with guest wc off, living room, lounge, kitchen, family room/dining room extension, four bedrooms, master bedroom with en suite and main bathroom. 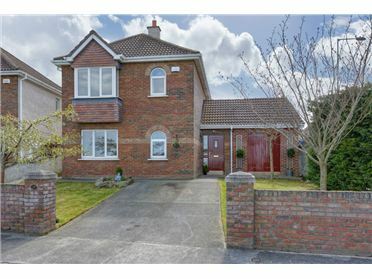 There is a cobble lock driveway to the front with lawn and mature planting.